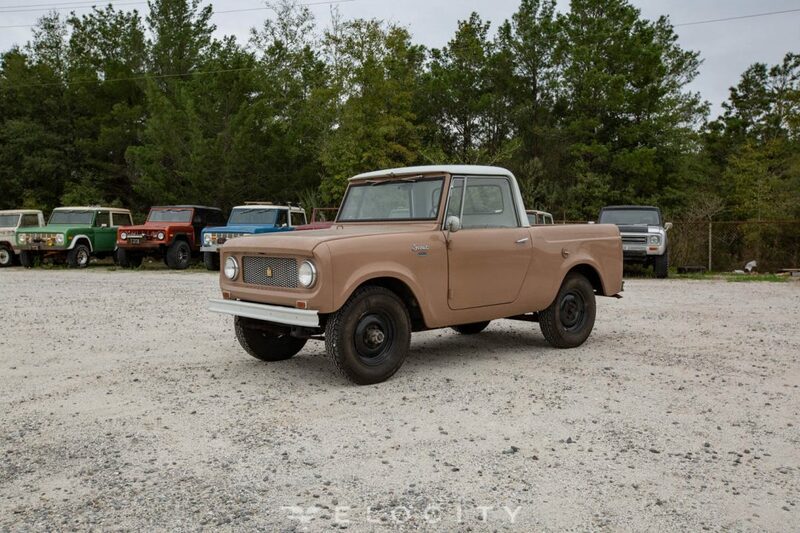 Few Scout 80 pickup donor trucks are as complete as this ’63 model. Rescued from an old-timer in the Midwest, it’s been well cared for and deserves to be restored. It’s not much to look at right now, but it’s a blank canvas and ready for custom touches. Turn the Scout 80 into a smooth highway driver or a mean mother of an off-road trailblazer. At Velocity, we’ll turn the stock 93-hp 4-cylinder out to pasture and drop in the engine and drivetrain you want. Let us take this project to perfection for you.